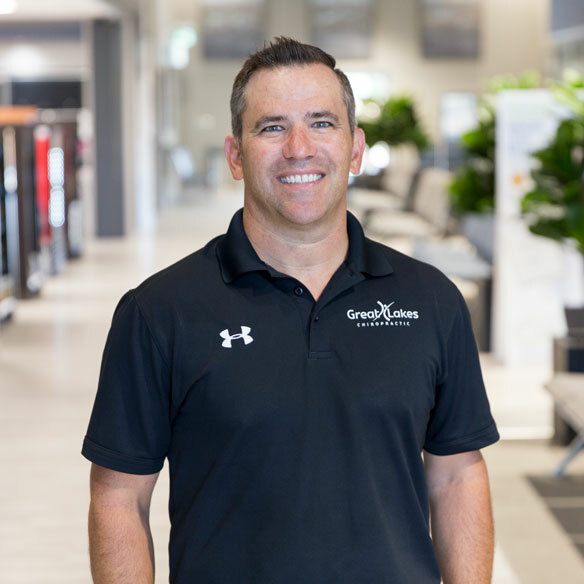 Having achieved great benefit through chiropractic care while playing various sports growing up, my passion for the profession led me to complete a 4-year undergraduate degree in Human Kinetics at the University of Windsor followed by a 4-year Doctorate in Chiropractic at the Canadian Memorial Chiropractic College in Toronto. 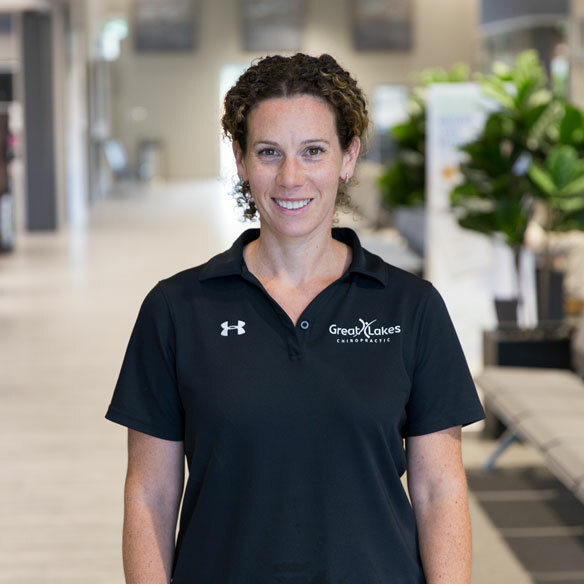 My goal is to provide Lakeshore and the surrounding community with evidence-informed care which helps address and correct muscle and joint related problems while providing supportive care for those looking to maintain their current level of mobility. I look forward to meeting all prospective patients while helping them achieve whatever postural/performance goals they may have. My goal as a chiropractor is to provide compassionate care to those in need. My aim is to identify the cause of a patient's problem, fix it, and then work towards preventing future problems from occurring. My background in rehabilitation and training in chiropractic allow me to treat a wide variety of conditions related to the body. Not just neck and back pain but also shoulders, hands, knees, feet, and other joints in the body. I excel in treatment of headaches, carpal tunnel syndrome, sciatica, tennis elbow and many other common musculoskeletal conditions. I bring with me a broad range of training, having studied or worked in Canada, the United States and the United Kingdom. 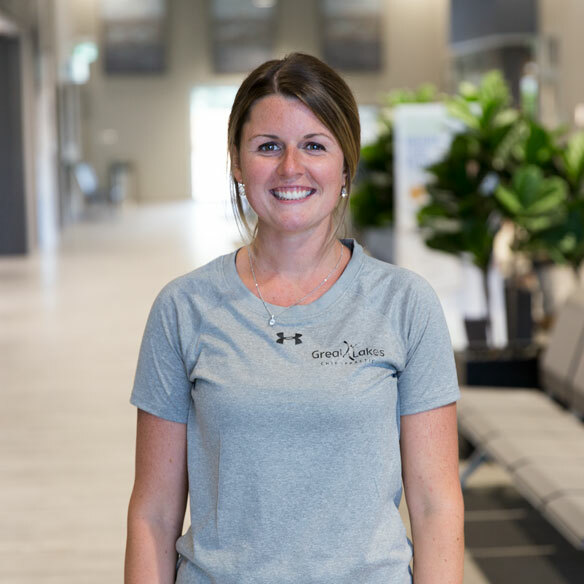 After graduating from the University of Windsor with a Bachelor of Science degree, Dr. Strong completed four years of intensive study at the Canadian College of Naturopathic Medicine in Toronto. She runs a general family practice with a special interest in fertility and pregnancy care, pediatrics, and digestive support. She has received additional training through Autism Canada, 1st line therapy weight management courses, and specialized courses in pediatrics, bowel diseases, and as a birth Doula. The goal as a Naturopathic Doctor is to teach and empower patients to restore their health naturally. By treating every patient as unique, a specific treatment plan is made according to their needs and goals. The emphasis is on preventative medicine, and to treat the underlying cause of disease, not just treat the symptoms. Dr. Strong is committed to providing natural health care in conjunction with your other health care providers to help you reach your health potential. Outside of practicing medicine, Dr. Strong is married, has 2 young children, and a cute dog named Luna. She has quite an interest in cooking and staying up on the newest food trends. Growing up in Tecumseh I am an Essex-County native that is ambitious to give back to the community that I grew up in. Visiting a chiropractor on a regular basis as an adolescent athlete has helped guide me towards the path of becoming a chiropractor for my life-long career. 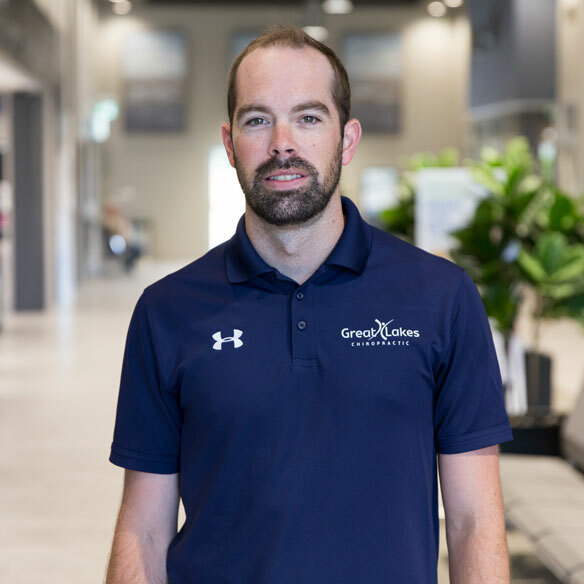 After finishing an Undergraduate degree in Human Kinetics at the University of Windsor, I decided to attend the Canadian Memorial Chiropractic College from which I graduated in 2016 after completing a 4-year Doctorate in Chiropractic degree. I actively participate in a variety of sports from lacrosse, hockey and golf. My love for sports transfers over into the care of my patients, as I am medically trained with the Titleist Performance Institute for Golf and I assist as the chiropractor of the Windsor Clippers Junior B lacrosse team. My goal is to deliver safe and effective care for each and every one of my patients. Using the diverse array of knowledge gained from both chiropractic college and the University of Windsor, I apply my diversified chiropractic techniques and Neurofunctional Acupuncture to formulate an individualized treatment for each patient. Jennie is a graduate of Canadian College Health, Science and Technology Massage Therapy Program. Health and wellness are very important to her and she feels massage therapy is an important element in maintaining a healthy mind and body. Her mission as a therapist is to treat every individual according to their specific needs. Each session is customized to meet those needs by integrating various modalities of massage. The combination of techniques used includes Trigger Point Therapy, Swedish and Deep Tissue Massage and teaching clients stretching or strengthening exercises. 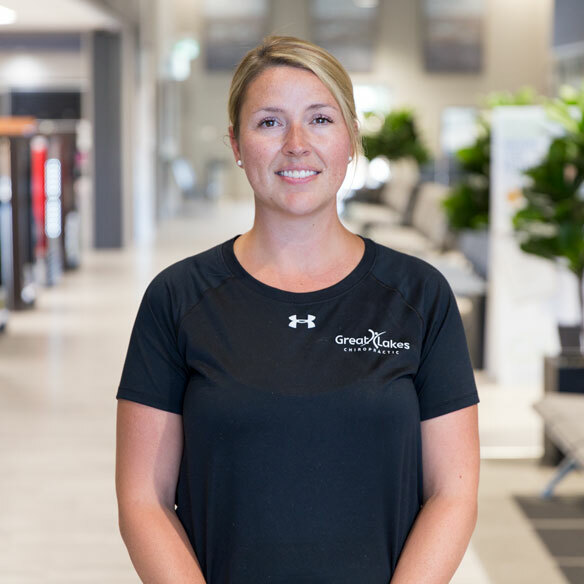 Jennie is committed to her personal growth and continuing education as a massage therapist. Health and personal wellness have always been an important aspect in my life. Upon completing a four year undergraduate degree in Human Kinetics at the University of Windsor, I eagerly entered into the Massage Therapy Program. The program offered a variety of different techniques and assessments to allow the therapist to provide the most useful massage treatment for each patient. Regular massage is a great way to increase overall health, as well as relaxation in daily life. My goal is to provide patients with a treatment fitting to their complaints, while offering a relaxing and comfortable environment. 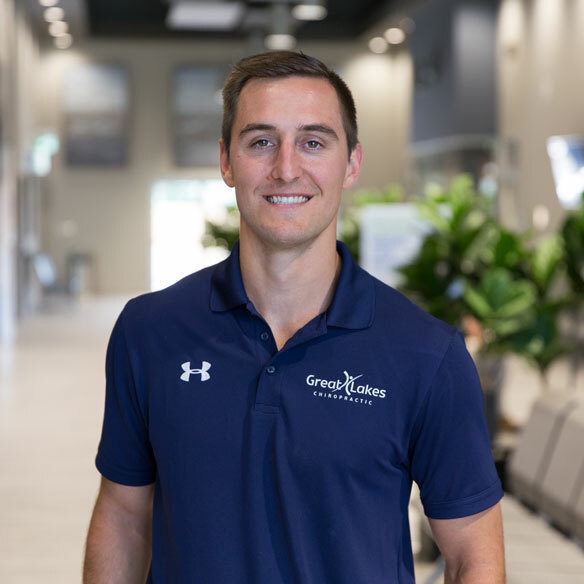 I strongly believe that the services offered at Great Lakes Chiropractic work in union to offer the most beneficial and favourable end results, provided by individuals truly passionate about their professions.